This audio course is designed to help health professionals communicate with their patients in Portuguese. The CD contains 17 lessons that provide the names of body parts, medical conditions, symptoms, and many other words useful in a medical setting. Students learn correct pronunciation from a native speaker (European accent). 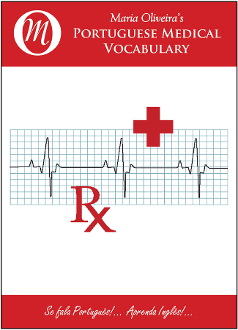 Vocabulary is offered in a format that can be repeated as often as necessary. Learn in the car, or while relaxing at home; it's up to you! A reference booklet is included for an optional quick check of spelling.